Henllan FC has notched up its second championship title in as many years. Having survived a lean few years in the Llandyrnog and District Summer League the team, sponsored by Lawson Civil Engineering and Utilities Ltd, was crowned 2016 champions. Having tasted success and liking it they weren’t, however, about to relinquish their title and retained it this season (2017) in convincing fashion with two games to spare. 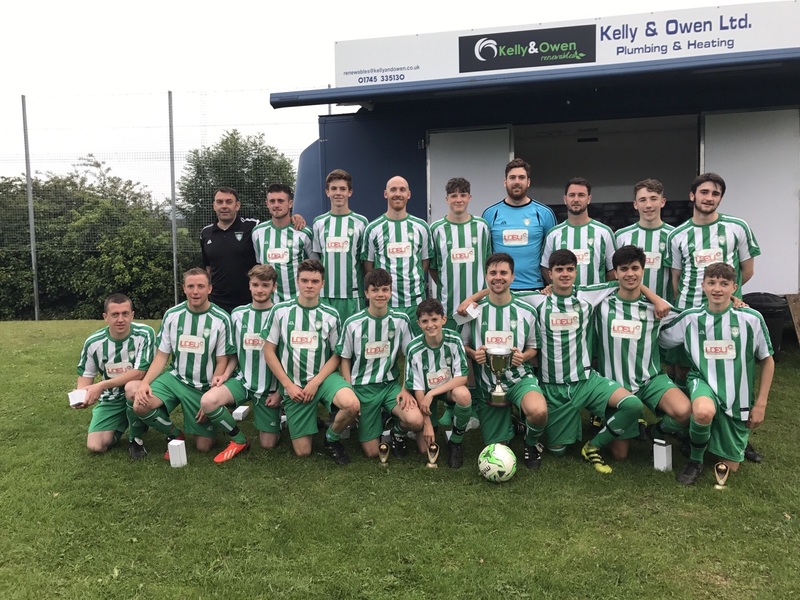 Now the club hopes to go one better than last year by also beating Llanfair to clinch the league’s prestigious Tony Evans Memorial Shield – settling old score, proving Henllan FC is a force to be reckoned with and the ones to be beaten.